Yesterday, I worked from home, which afforded me ample time to cook a proper breakfast. Never do I allow myself to both eat and commute, so this was a rare treat. I decided on a bacon sandwich. My tastes run in phases, where I'll crave something specific for about six weeks, then move to another food item. Common phases include hot dogs and waffles. Currently, I crave bacon. A bacon sandwich is essentially buttered, toasted bread as a bacon delivery vehicle (BDV). If you're not familiar with the delivery vehicle food system, let me explain. A DV is a foodstuff that exists to carry an especially delicious foodstuff that's not traditionally eaten alone into your gullet. The perfect example is celery. Alone, celery is crap. It supposedly has negative calories, which in my mind disqualifies it as a legitimate food. But when filled with cream cheese and amply salted, a half-stalk of celery becomes a wonderful thing: a salty cream cheese delivery vehicle. 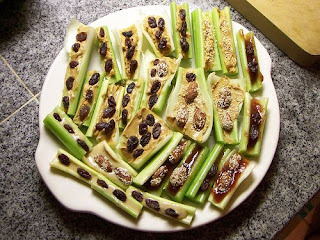 Some of you may be of the "ants on a log persuasion," that is, the type who puts peanut butter and raisins on celery. Without getting as belligerent as I'd like, I'll just point 0ut that you people hate America and clearly don't understand the whole celery as deliciousness delivery vehicle system. To finish my thoughts on food delivery systems, I'll point out that there's a heirarchy. At the bottom is celery, with its anti-caloried stringiness stripping all appeal besides being a technically edible way to ingest ranch dressing. In the middle are tortilla chips, which are delicious on their own, but also the perfect guacamole delivery vehicle. At the top is hot buttered toast (HBT). Solo, HBT owns most foods. Sandwiching bacon, it becomes the best delivery vehicle on the market today. Think about it. If you're into jelly, it's there for you. American cheese? Sure. And of course, bacon, with the buttered toast standing alone as needed as an awesome breakfast all its own. I'm almost reluctant to call a bacon sandwich a true sandwich as honestly, it's just a way to shovel bacon into my mouth using equally tasty buttered toast as a platter. But it is internationally recognized as a proper sandwich, so I'll go with it. I mean, it is two pieces of bread with a filling, so I guess it counts. Yes. I will ignore my guilt and embrace the bacon sandwich and enjoy it on its own terms. Bacon sandwiches for breakfast, BLTs for lunch and for dinner? Only time will tell. Have you tried bacon Avocado????? I've tried bacon lettuce avocado tomato (BLAT), and it is awesome. I'm kind of a purist with my bacon sandwiches, so I stick to buttered toast and bacon for those, but I'll admit that avocado makes pretty much everything better.